Aww just yesterday talked about it and today I just got them! 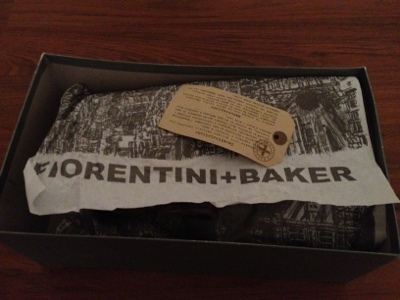 My fiorentini+baker shoes! And I love them! They are so chick and stylish! Perfect for springtime! I wear them today and trust me! You need some they are really comfi! I decide to take the short one, because I am not the tallest person ever! So here is my tip: take the short one! Other way the long one makes your legs shorter! Very uncool;) and I decide to take the muddy green wild-leather, because I thought it would be easier to to combine it with so many pants! With light and dark jeans and also red pants and black pants! It's just so much easier! 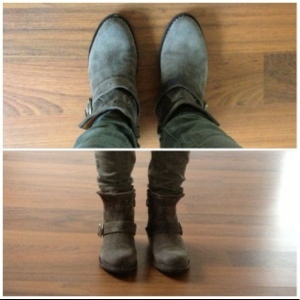 The black one makes my feet smaller but I also thought, I already have black boots! 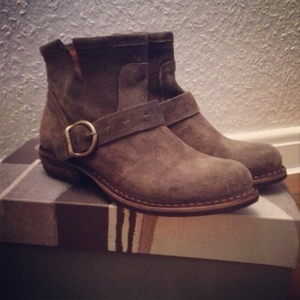 So yeah I am so happy with my new boot!!!! I love theeeeeem!!! !